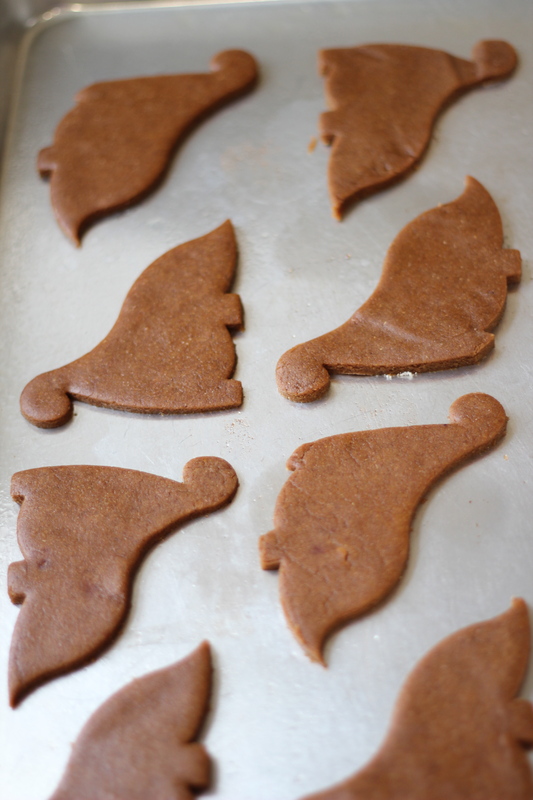 DINO Gingerbread cookies! i mean, why make just regular ones? 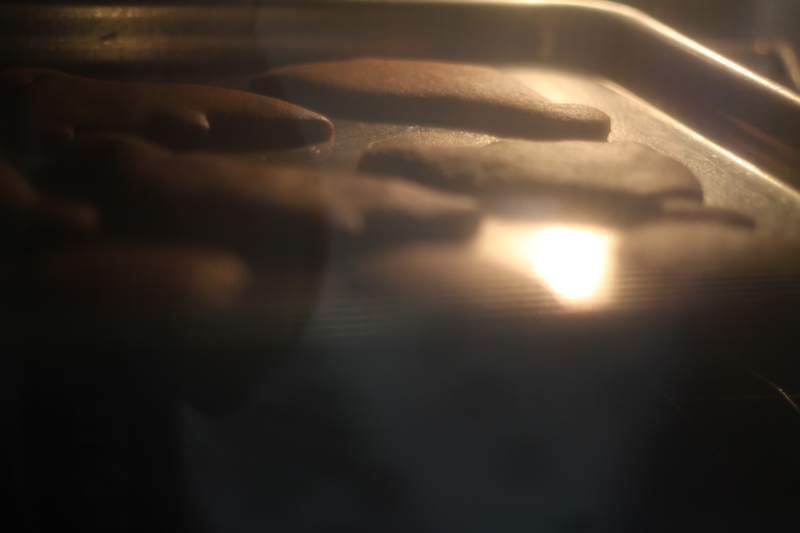 For the past several months I’ve been away at college… away from a working stove, mixing bowls, and the like. So what do I do the first thing I come home, aside from unpacking my car? I MAKE COOKIES. 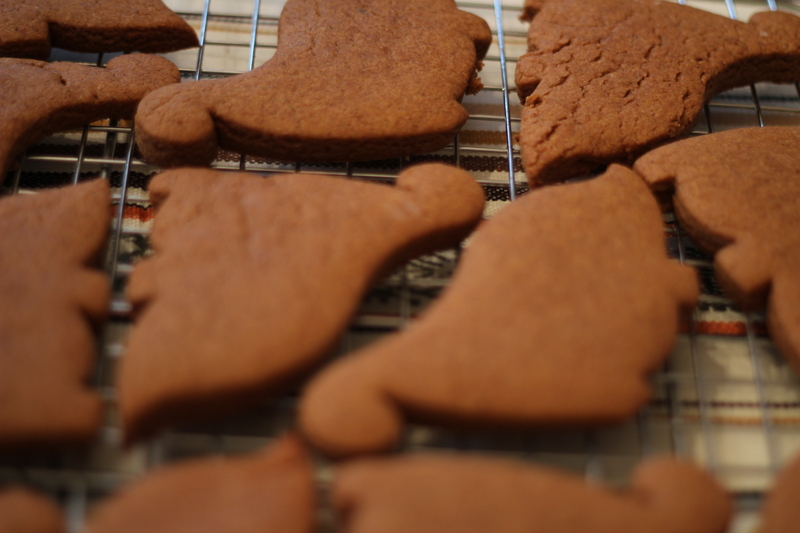 But not just any cookie: gingerbread DINO cookies. 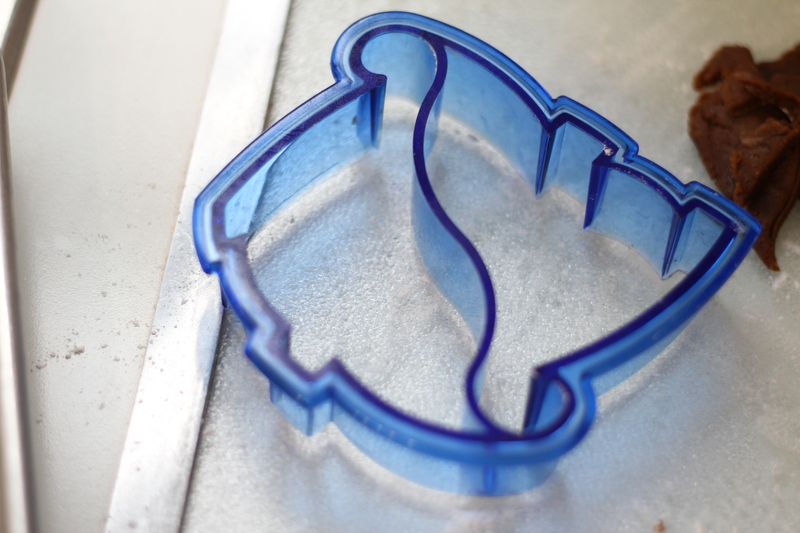 (Recipe from The Post Punk Kitchen). I mean, come on, who wants another christmas tree? Another snowman? Not when you have dinosaur sandwich cutouts!